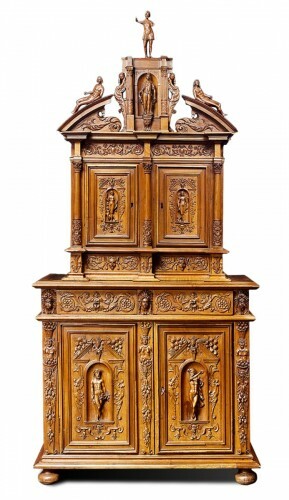 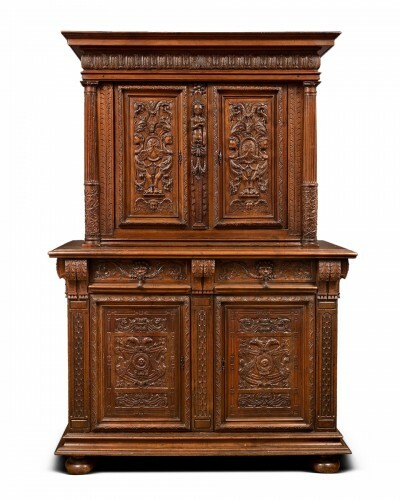 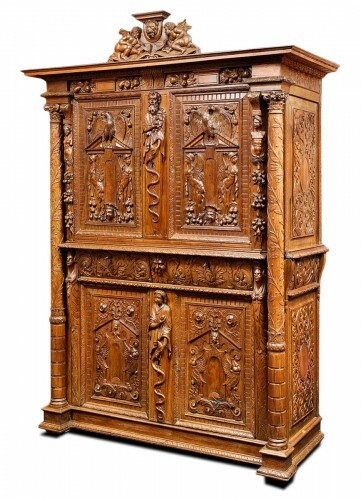 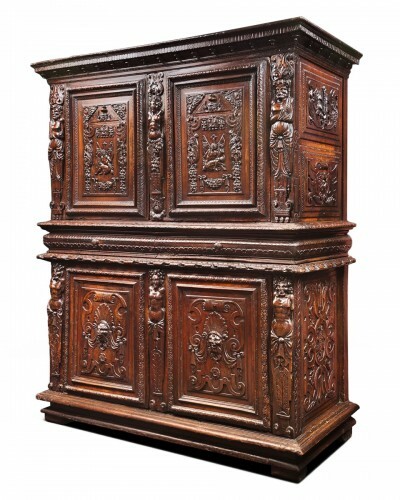 AnticStore > Catalogue > Furniture > Cabinet > Renaissance > 17th century > 17th century German Cabinet to "herbes folles"
Small cabinet inlaid fruitwood, maple, walnut, cherry plum, ash, oak, pine rack. 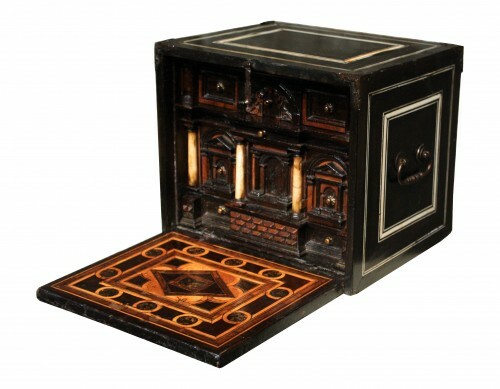 Decor cities in ruins overgrown with herbes folles, interpretation of vanities as an architectural theme dear to artists and artisans of the Renaissance, vanity being here represented by the construction of cities by man, which, once the fallen civilization, falling apart, find themselves invaded by nature and will eventually totally covered. 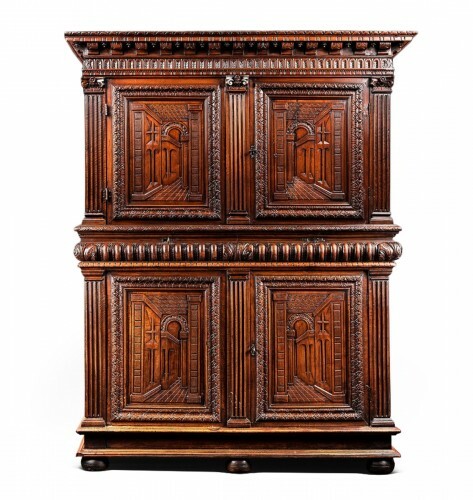 It is possible that the cabinet once had a lid.